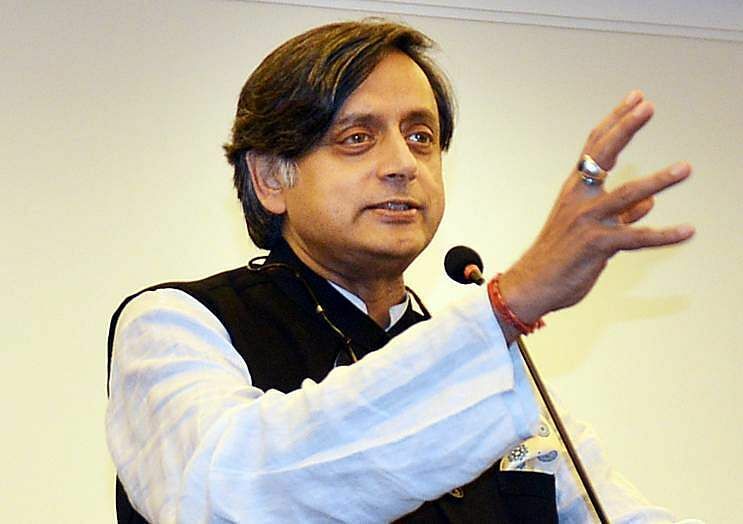 New Delhi, Nov 27: Congress leader Shashi Tharoor on Sunday said the new party President will be elected through a free and fair electoral process and that party workers felt a strong connect at a personal level with its Vice President Rahul Gandhi. "... there will be free and fair elections among Congress workers. In case of Rahul Gandhi, any Congress member is free to put forth his nomination for the top post. The election will be held... there is an entire procedure," he said. "Sonia Gandhi had Jitendra Prasad running against her (for the Congress President's post). An election was held and she won," he added. Asked about the eligibility criteria, the former Union Minister said: "The honest answer is -- electability. Not just me, if any senior party leaders were to contest against Rahul Gandhi...."
"Workers do feel a very strong loyalty and attachment to the Gandhi-Nehru family... to Rahul Gandhi personally," Tharoor said at an interactive session at the Times Lit Fest here. Tharoor said: "The only reason we are expecting Rahul Gandhi to be elected unopposed is that no one has come ahead and said he intends to oppose Rahul Gandhi's election." "As Congress men, we all know there is no other candidate," he said. The Congress Working Committee has approved the road map for what looks like an unopposed elevation of Vice President Rahul Gandhi as party chief, barring an unexpected contest. His election will pave way for passing of the party leadership to him from his mother, who has helmed the Congress for 19 years. It would be clear on December 11 whether there would be a contest for the top party post. Nominations can be filed till December 4, followed by scrutiny on December 5. The last date for withdrawing nominations is December 11 and the date of poll, "if necessary", would be December 16. Counting of votes will be done on December 19.